Next......Easy 4 step process to obtain this medication in consultation with our in-house prescribers. 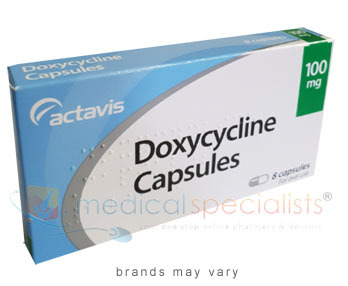 Doxycycline belongs to a class of medications called Tetracyclines. It is also known as a broad spectrum antibiotic and may be used to treat a wide range of infections caused by bacteria. 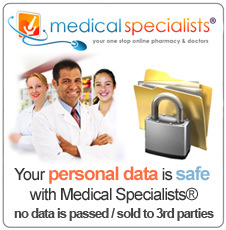 Medical Specialists can provide this treatment for Malaria prevention and Chlamydia. Please note, if you are allergic to Tetracyclines such as Doxycycline, or are pregnant, or are trying to get pregnant, Azithromycin is the recommended treatment for Chlamydia. Please note, if you are allergic to Tetracyclines such as Doxycycline, Malarone or Paludrine may be more suitable for the prevention or treatment of Malaria. Chlamydia Treatment – 100mg twice daily for 7 days is now the first line recommended antibiotic treatment for chlamydia infections. In the UK, chlamydia is the most common sexually transmitted infection. Half of men and around three quarters of women with the infection experience no symptoms. If left untreated, it can cause infertility in women. What are the common symptoms of Chlamydia? Malaria Prevention - 100mg a day. 2 days before you travel, throughout the duration of the stay and 4 weeks upon return. (may be given with other drugs such as quinine). For Malaria please calculate your dosage. You must read the manufacturer's patient information leaflet prior to taking the treatment. Swallow Doxycycline capsules whole, not crushed or chewed, with plenty of water, while sitting or standing. Avoid taking them just before lying down or bedtime. 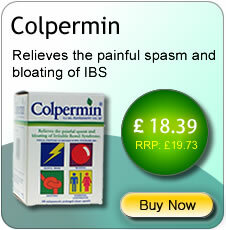 Do not take any indigestion remedies, iron or zinc supplements at the same time as this medicine. Take them at least two hours before or two hours after a dose of Doxycycline. Try to take this medicine at regular intervals, as directed, to keep a steady level of Doxycycline in your body. 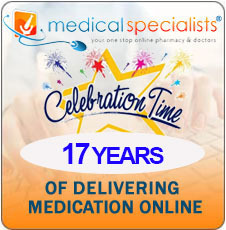 You can buy Doxycycline online with or without a prescription at Medical Specialists, after completing a simple online consultation. Just complete an online consultation by clicking the orange button above. For full patient information, please read or print out the leaflet provided at the bottom of this page about Doxycycline. For more information about any other possible risks associated with this medicine, please read the patient information leaflet provided with the medicine or consult your doctor. Do not take this medicine if you are allergic to Doxycycline or to other tetracycline antibiotics such as demeclocycline (Declomycin), minocycline (Dynacin, Minocin, Solodyn, Vectrin), or tetracycline (Brodspec, Panmycin, Sumycin, Tetracap). 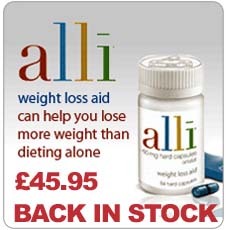 If you have been diagnosed with liver disease. If you suffer from alcohol problems. If you suffer from porphyria (a blood disorder). If you suffer from systemic lupus erythematosus (a blood disorder). If you suffer from myasthenia gravis (a muscle weakening disease). If you are taking other medicines. If you have ever had an allergic reaction to this or any other medicine. Make sure your doctor knows what prescription or nonprescription medications you are taking. If you are having surgery, including dental surgery, tell your doctor or dentist that you are taking Doxycycline. If you are sensitive to sunlight. Pleaes be aware that this medicine may not be suitable if you are going to be exposed to a lot of strong sun light (sun bathing) or ultra violet light (sun beds). You should not drink alcohol whilst taking Doxycycline capsules. Doxycycline capsules are not recommended for use in children under 12 years of age as it can cause permanent discolouration of tooth enamel and affect bone development. Do not use Doxycycline if you are pregnant. It could harm the unborn baby or cause permanent tooth discoloration later in life. Doxycycline can make birth control pills less effective. Ask your doctor or nurse about using a non hormone method of birth control such as a condom or diaphragm to prevent pregnancy while using Doxycycline.